Egypt is expected to take over the presidency of the African Union Sunday during the opening ceremony of the 32nd African Union Summit. 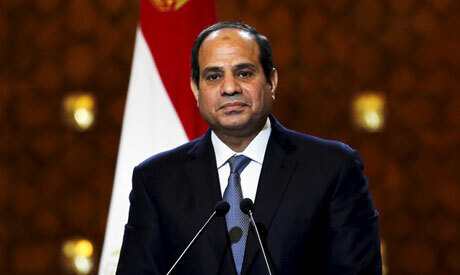 During the closed summit, Egyptian President Abdel-Fattah El-Sisi along with African leaders have discussed issues of mutual concern, reported state TV. It is the first time an Egyptian leader has chaired the AU since it was established in 2002, spokesperson to the Egyptian Presidency Bassam Rady said. Rady said the chairmanship is a coronation of Egyptian efforts led by the president in the last few years to boost relations with African states on both the bilateral and multilateral levels, marking a restoration of Egypt’s pivotal role in the continent. Egypt was one of the founding countries of the Organisation of African Unity, the AU's predecessor, in the 1960s. Rady said Sunday’s summit will be held under the theme of “Year of Refugees, Returnees and Internally Displaced People," which he said was chosen due to Africa’s efforts to stem human trafficking and forcible displacement. The summit will also see discussions related to issues of sustainable development that fall under the AU’s 2063 Agenda; regional integration and complementarity through developing the continent’s infrastructure and continental connectivity projects; and efforts to activate an African free trade zone. The summit cover coordinating with international financing institutions and strategic partners to mobilise the funds and support needed for Africa's development, while also pushing efforts to formulate innovative solutions to overcome the negative impacts of climate change. Health, education, innovation and localising technology will also be discussed, Rady added. African leaders will also review the efforts of reviving African policy for reconstruction and development in post-conflict phases, as well as activities on combating terrorism and extremism on the continent. Talks on resolving conflicts in notable hotbeds, and on the implementation of the AU’s “Silencing the guns in Africa by 2020” initiative, are on the agenda, Rady added.